Events industry associations ISES, SITE and MPI are planning a joint networking party at Christmas in a drive to capture "mutual benefits" for members. 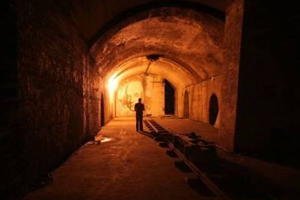 At least 300 people are expected to attend the industry event on 6 December at the Old Vic Tunnels in London, said ISES UK president Richard Foulkes. "There is a strong case for collaboration across the industry," said Foulkes. "It is not about combining, but collaborating with complementary associations." The idea for a joint event was first mooted ten months ago by former ISES president Zanine Adams, added Foulkes. Adams told C&IT: "We are taking the strength of all three associations and bringing them together for mutual benefit. This is a test case and, if it is a success, we will continue next year." The joint networking event is also open to non-members, and Foulkes said he would be talking to other associations, including Eventia, about attendence.